Invest well today so you can enjoy a financially stable future. In order to do this, you must have financial planning that is tailored to your specific needs. At the same time, you need a skilled financial planner in O'Fallon, MO, who actively manages any adjustments in your portfolio as the market and your needs change. The team at Renaud & Company assists you in building wealth and understanding all of the investment options available to you. Our first priority is your financial success and satisfaction. We build a strong relationship with you to ensure smart investments. By learning more about your financial goals, your personal situation, and your risk tolerance, we provide financial strategic planning that is specifically tailored to your needs. Retirement comes faster than you think. The last thing you want to do is depend on a Social Security check during your Golden Years. Enjoy a richer, fuller, and happier life by becoming financially independent. Whether you are young or a few years away from retirement, wise financial strategic planning helps you get the most out of your money. Build wealth and enjoy financial freedom. With so many factors involved in developing and maintaining an effective financial plan, you cannot afford to do it on your own. 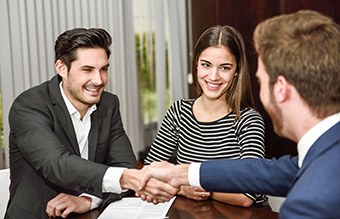 Allow our trustworthy, experienced, and certified financial planner to create a sound strategy that addresses your individual situation and objectives. We specialize in minimizing investment loss and boosting financial gains. As a skilled and certified financial planner, Matt Renaud makes investing simple for you. He has provided comprehensive financial planning for more than 24 years. He is deliberate in planning for your future and seeks to preserve your wealth, yet at the same time, he is not afraid to challenge conventional wisdom in his approach to investing. All of his energy and efforts are focused on you and your satisfaction. Contact us to start planning for a bright financial future. We offer Financial Planning help to all clients living in the great state of Missouri.